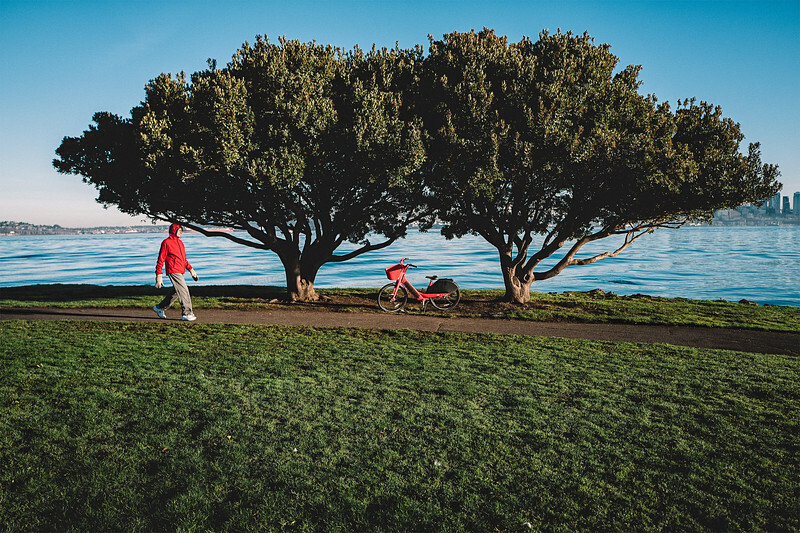 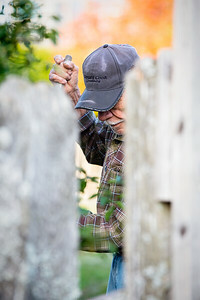 An older man rakes leaves in the front yard of a West Seattle home. 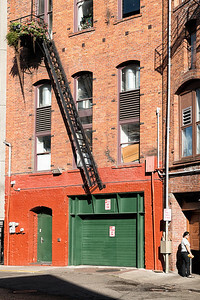 A young woman prepares to enter an apartment building through the alleyway in downtown Seattle. 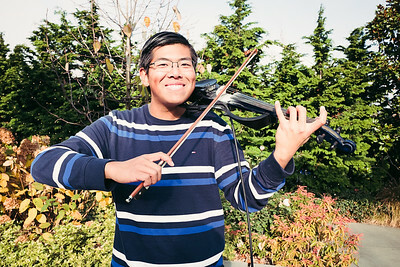 A young man smiles for the camera while playing his electric violin for a dancing ballerina. 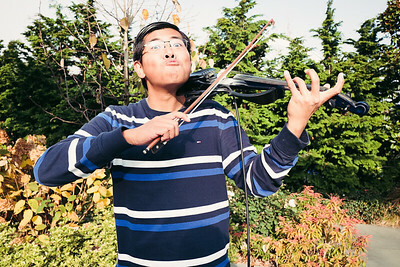 A young man goofs for the camera while playing his electric violin for a dancing ballerina. 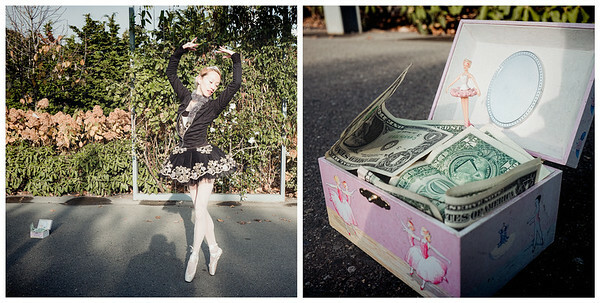 A ballerina dances for money near the Space Needle. 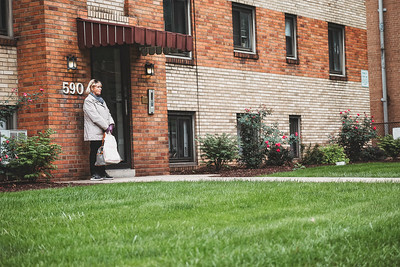 A woman waits outside an apartment building entrance in Pittsburg. 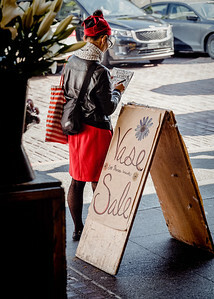 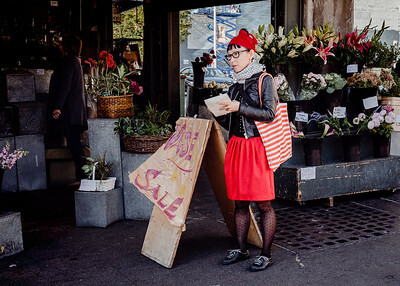 A young woman dressed in red sketches the Public Market Center in Seattle. 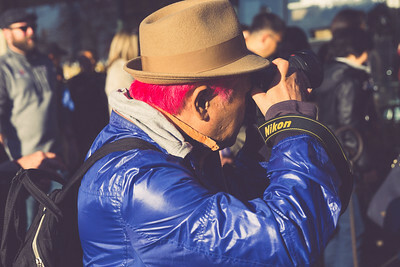 Portrait with permission. 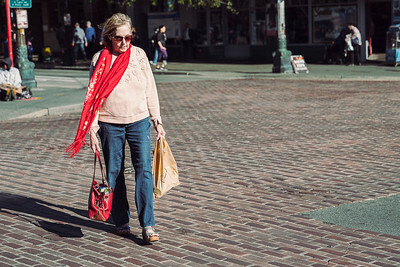 Taken in downtown Seattle. 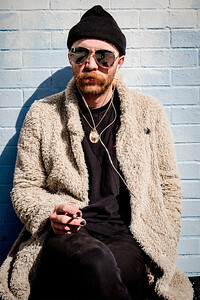 Portrait with permission. 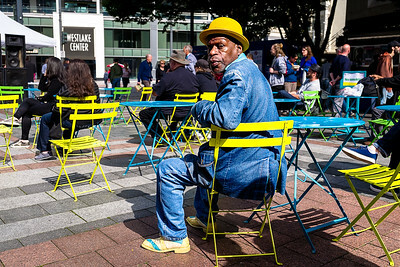 Taken at Westlake Center, Seattle. 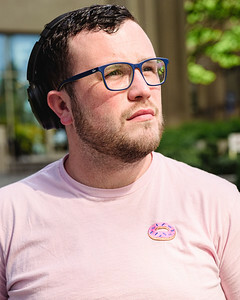 Portrait with permission. 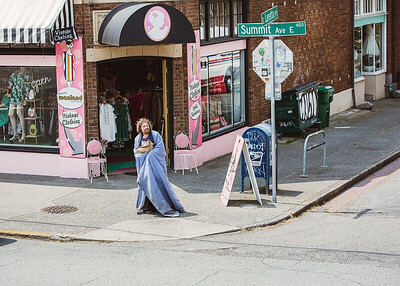 Taken in The Junction, West Seattle. 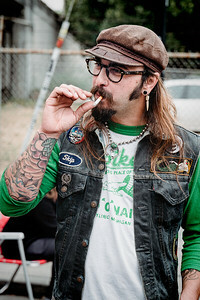 Skip has a smoke and chats with another person while attending Van Haven in Georgetown. 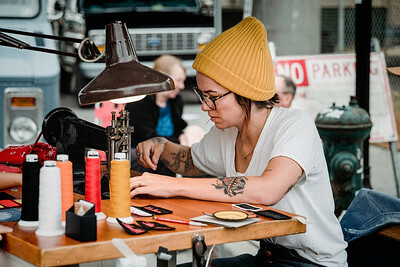 A woman attending Van Haven in Georgetown creates custom patches for sale with her old sewing machine. 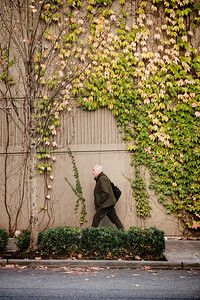 A man passes between two vans, part of the Van Haven gathering in Georgetown. 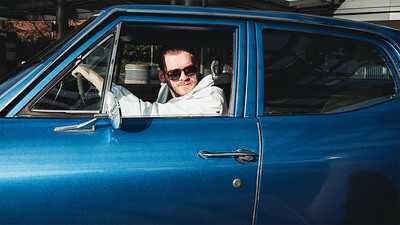 A man, who drove from California to attend Van Haven in Georgetown, poses for my camera next to his ride. 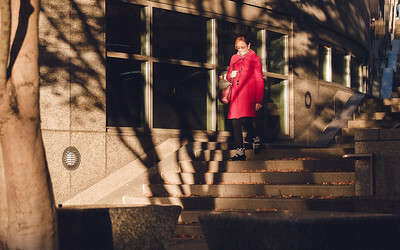 A young woman unlocks a freezer in back of a restaurant in Georgetown. 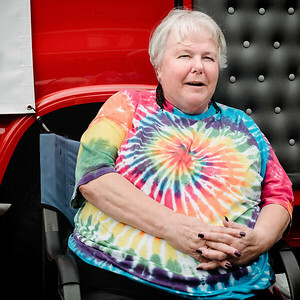 A woman attending Van Haven in Georgetown sits in front of her red van. 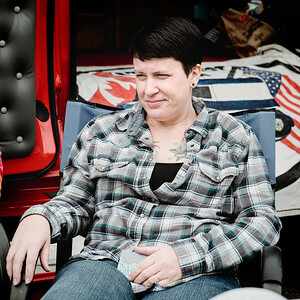 A woman attending Van Haven in Georgetown sits in front of a red van. 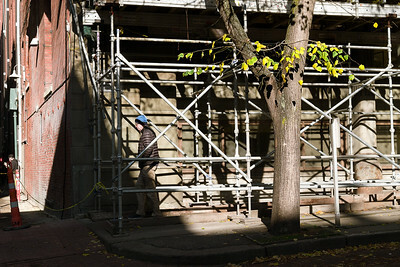 I spotted this guy drawing from across the street in Georgetown. 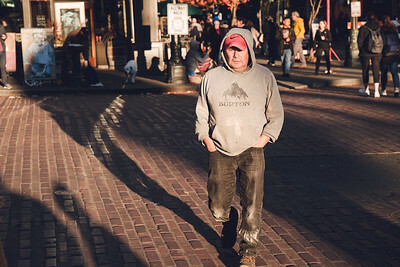 I walked across the street and asked him if I could a picture. 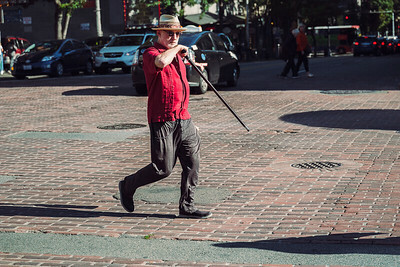 He was drawing the buildings on the opposite side. 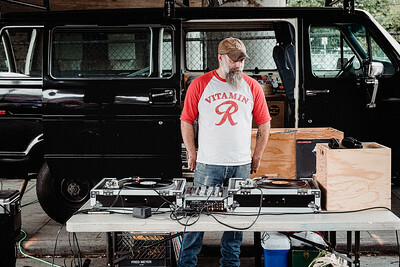 A bearded man wearing a "Vitamin R" t-shirt plays vinyl records at the Van Haven gathering in Georgetown. 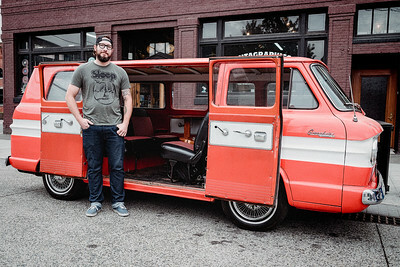 As the name Van Haven implies, it's all about old and new Vans and how the owners have decked out their vehicles. 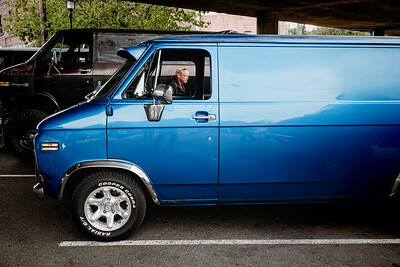 Not surprisingly many of the older vans had the look of having been left under blue tarp for years. 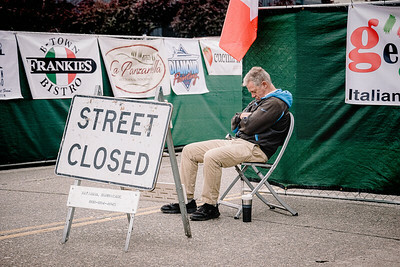 A man sitting in a chair cat naps as the San Gennaro Festival gets under way in Georgetown. 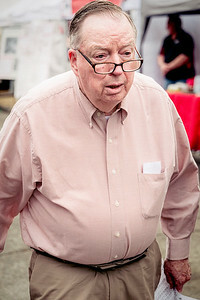 A man walks in the procession to kick of the San Gennaro Festival in Georgetown. 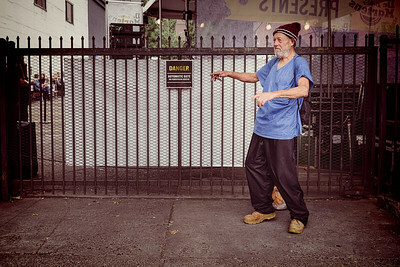 An older man shows off his dance moves while listening to a live band on the other side of the gate in Portland, Oregon. 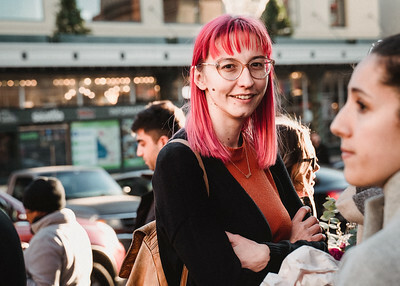 A young woman, waiting to get into a bar, throws a pose at me. 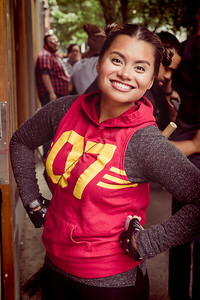 She was there along with many others, dressed in "Harry Potter" story costumes, waiting to get into the bar to watch live bands play out back in the parking lot. 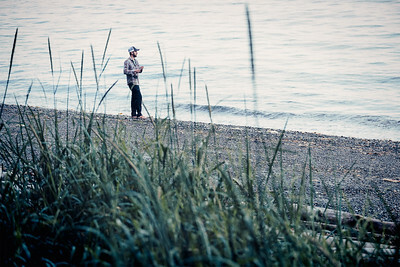 A groom and his photographer catch me taking a shot. 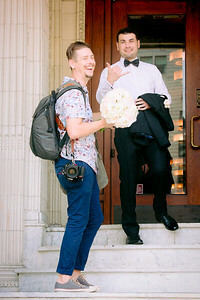 The photographer laughs and the groom displays holds up the "hang loose" hand sign. 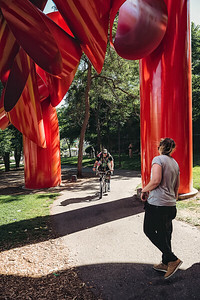 People pass under Alexander Liberman’s largest sculpture, Olympic Iliad, (1984).